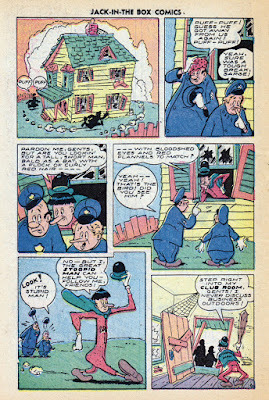 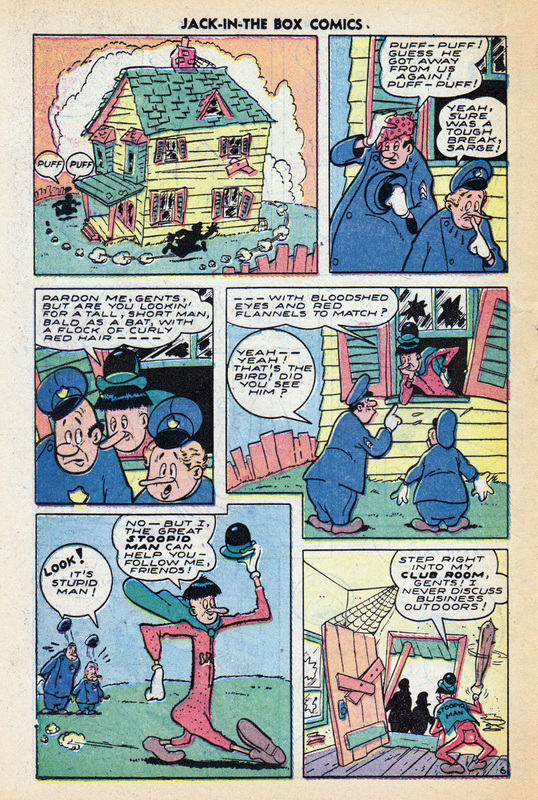 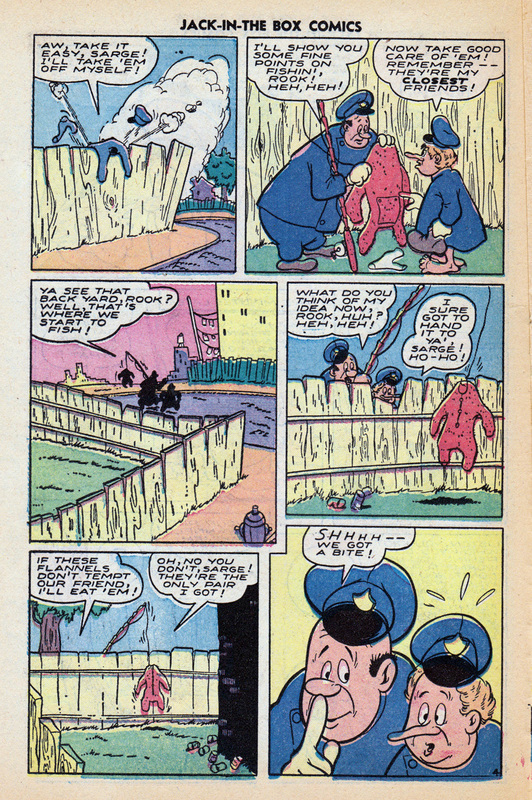 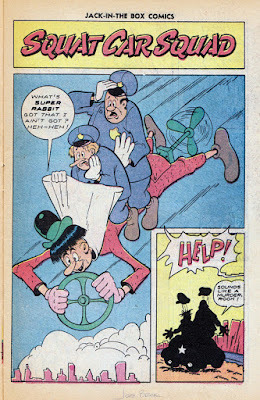 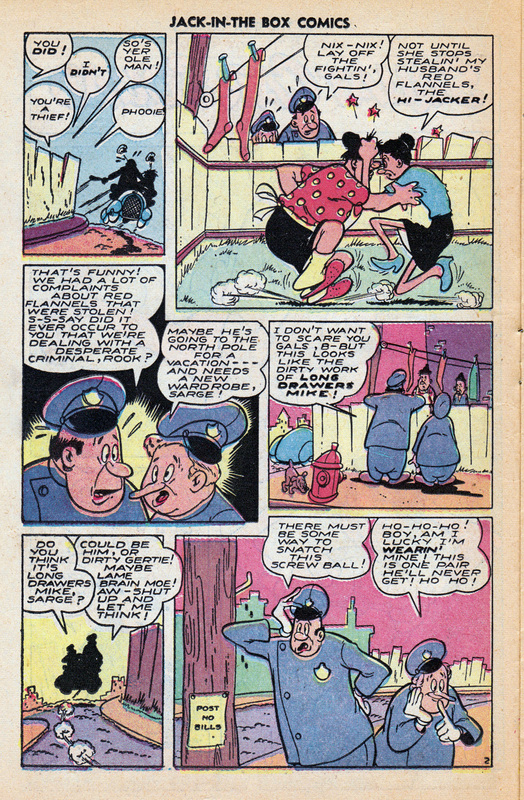 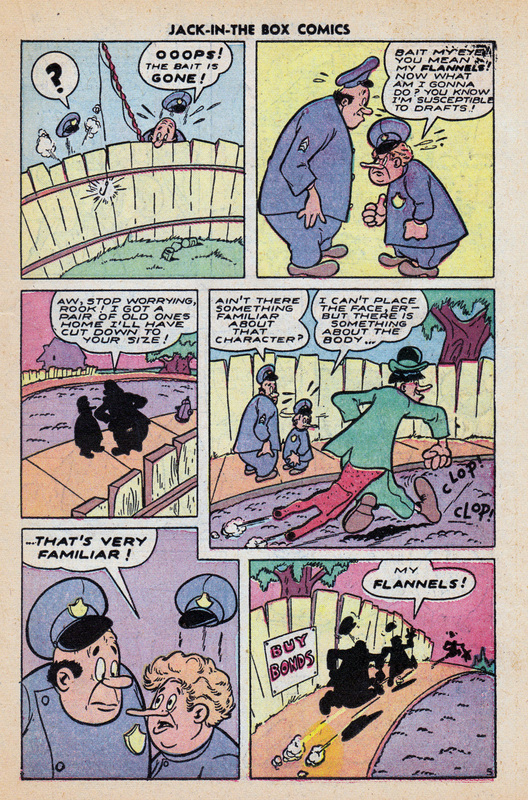 Squat Car Squad was a slapstick series for Timely's Joker, created by Al Jaffee and later continued by David Gantz, most of which I have shared here. Who drew it when a final story turned up in Charlton's 'let's see what we have lying around' title Jack-in-the Box #12, I don't know. 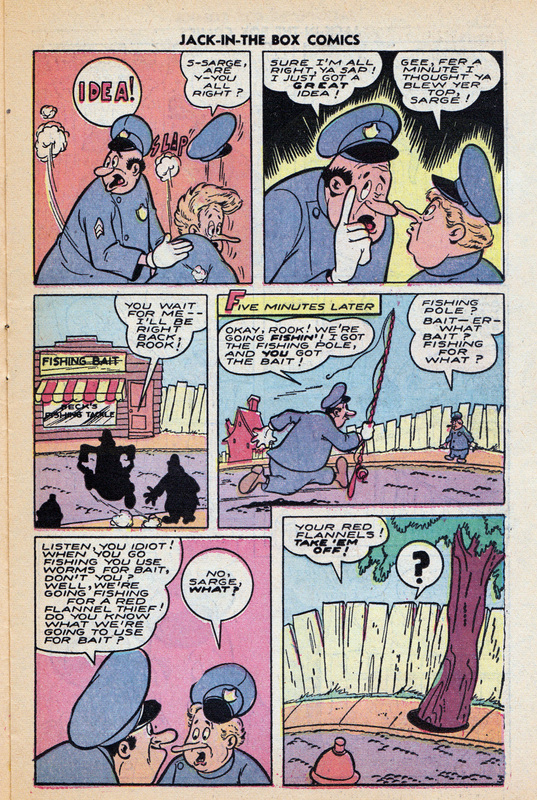 The Grand Comics Database suggest Joel Beck, whom I don't know. 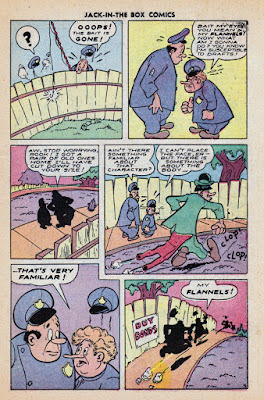 But they agree it must have been from some sort of garage sale, either from Timely's owner or the artist.